The major tool purchase that I made at SNAG ties in nicely with my stone purchase. I ordered the new kit from Rio Grande that includes all the bezel forming tools produced by Bill Fretz. After watching Bill demo for me how to form a bezel perfectly to fit an unusually shaped stone, I knew I would save time and money with this investment. 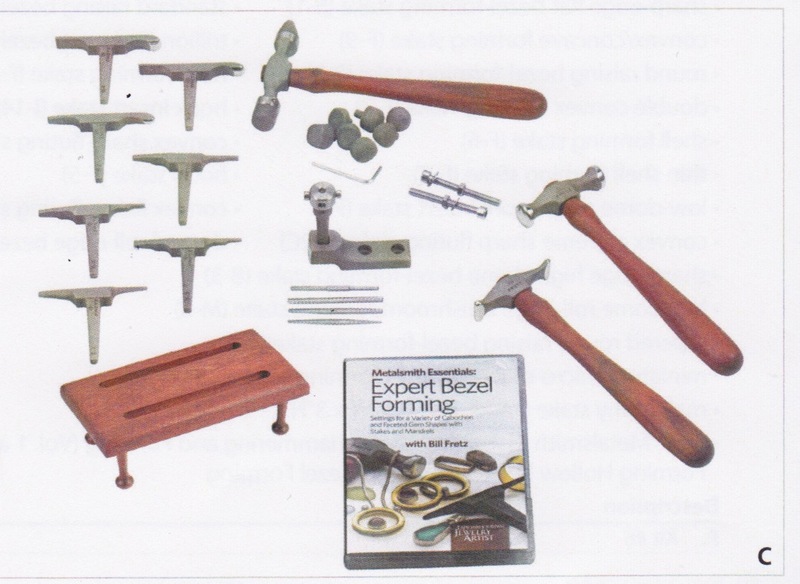 The kit includes three hammers: planishing, narrow raising and double-ended with nylon inserts. Three different sets of forming stakes cover every possible bezel shape need, and a stake holder attaches to a block or bench to hold each securely. With a stand for the stakes and a video for how to use them, these goodies should have me producing beautiful bezels in no time.